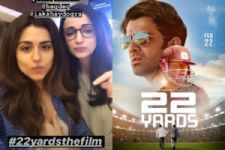 "From outside every family looks normal but behind the doors each family is crazy"
Eisha Chopra gets candid about her webseries 'The Great Indian Dysfunctional Family' and working with actor Barun Sobti. At some point each one of us has thought that our family is the only crazy family around! Alt Balaji's new webseries The Great Indian Dysfunctional Family is just about that - a unique family in every way! 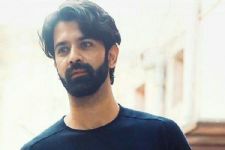 The series is about two brothers Samar (Barun Sobti) and Vikram (Kay Kay Menon) Ranaut and how things take a different turn when Samar returns to his ancestral home after 8 years with his wife Sonali (Eisha Chopra) where Vikram is already living with his family. In a candid chat with us actress Eisha Chopra who plays Sonali, wife of Samar in the series shares about the show and her experience. Talking about the series Eisha said, "It feels wonderful to be a part of the show! I was actually one of the story writers of the show. So the journey started for me about two years ago and so I have been living with the character for a long time, as I was part of the team that created her. And then I auditioned for the show and got the part so that worked out really for me." Eisha plays the character of Sonali, Samar's (Barun Sobti) wife. Speaking about the character she said, "My producer Tanvir actually said this in an interview that Sonali is a very natural extension of Eisha's personality. Hence, she is very similar to me but I alwayssay that I feel that she is better than me. I want to sort of become her. She is a very honest and principled person. She always stands up for what's right and she is also much stronger than her husband. So in a way, she is always putting in his place also and other than that she is a very spicy person and what I like about her is whatever comes to her she just goes and sell without worrying about how it's gonna make her look or people will like her or not and this is something I really resonate it that she will say what she think without the concern of what someone will think of her." Sharing about her favorite dialogue from the show, she said "My favourite dialogue is in the first episode itself, where the character who plays my niece Aditi she comes to me and says Chachi I'm so sorry aapki family itni crazy hai;(Ye ekdam usi moment improvise ho gya tha during the shoot) so I said to her that adu har family ghar ke bahar normal dikhti hai, darwaze ke andar sabhi crazy hi hote hai and this is actually the spirit of the show, that it's only from the outside that everyone looks happy and normal and on the inside everyone is nuts. So when people ask me do you know families that are this crazy? And I ask them that do you know families that are normal? So that's the spirit of the show that's what the show is about. It's about showing that everybody is flawed and it's about celebrating their flaws and how they manage to overcome them." When asked about how was it working with Barun Sobti she said "Working with Barun...actually it was very funny. I didn't know who Barun Sobti was when I first met him, I mean I was obviously living under a rock. 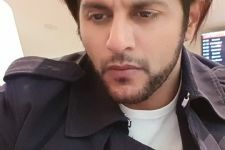 I cut my cable connection four years ago, so I don't watch TV and when I met him I'd just seen a film called Tu Hai Mera Sunday and I thought he was a great actor. So when I was told I was cast up with him, I was very excited to be working with a good actor. And when I met him, we hit it off very well. It was only about two weeks into the show when suddenly on instagram all these fan accounts that he has from all over the world, started tagging me in these things and I said who's this guy. So it was then I realised I was working with some superstar and that's a big compliment to him, because he never made me feel like he was a star. He always acted like an actor. Barun and I obviously became great friends. And when people ask me how is there so much chemistry and that just came out of friendship." Eisha just completed shooting for the season 2 of Dice Media's What the Folks which will be launched soon. 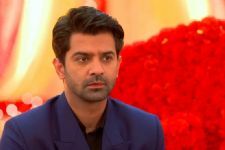 Barun Sobti, I'm madly missing for your beautiful eyes, be happy always, the best actor in the world..
BARUN SOBTI Is a magnificent actor and a wonderful person. I'm in love with his incredible talent..
Barun Sobti, you're a terrific actor. Your Samar is not like your other characters. Magnificently! Barun Sobti, you are magnificent! The whole team of the web series is great! I look forward to tomorrow! 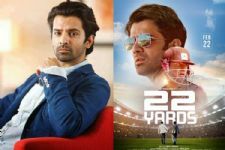 Barun Sobti, now I'm eagerly waiting of your upcoming webseries Asura.